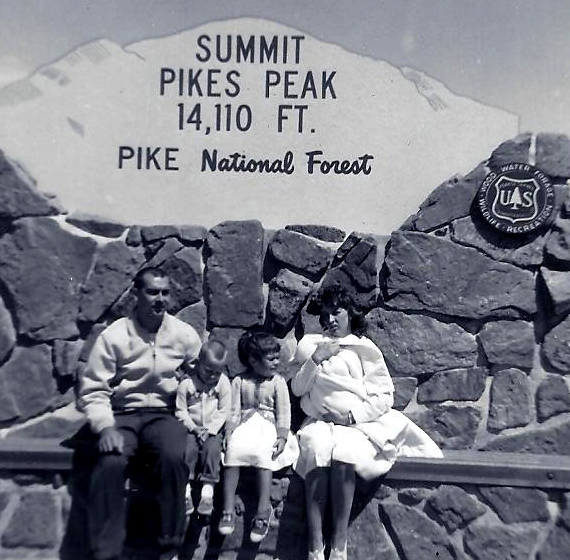 In 1964 Jerry and I took our three children (three at that time) to Colorado to visit my parents. They took us to see many beautiful sights. One was Pikes Peak. Here we are freezing to death! Teddy was two and a half, Pammy was four and Timmy was only one month old! 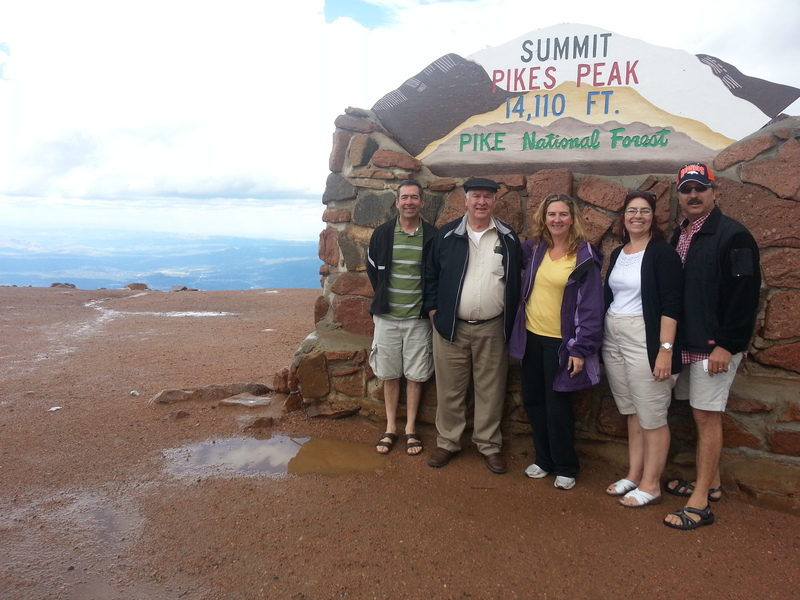 A trip up Pike’s Peak was possible for some this week! Tim, Jerry, Christy, Pam and Gene. I was taking care of too many details for the memorial service for my mother to go sightseeing but I was glad they got to go. They froze again this year, even though it was August! This mountain was created by God. Family times are so great! This entry was posted in Adventure, Christy, Colorado, Created by God, Daughter, Family, Jerry, Pam and Gene, Pikes Peak, Tim and tagged Children, Christy, Colorado, Created by God, Family, Jerry, Memories, Pam and Gene, Pikes Peak, Tim. Bookmark the permalink.